/INS. At the end of April 2015, Kotkamills Oy announced its investment plan to convert paper machine 2 to produce 400,000 t/a of recyclable folding boxboard and barrier board grades by midsummer 2016. The main machinery suppliers to project “Flying Eagle” are Bellmer Vaahto Paper Machinery Oy and Valmet Paperikoneet Oy; the first being responsible for the machinery from the wet end to the drying section of the machine and the latter for supplying the on- line coating section, reeler and winder. Both of them will work in cooperation with Pöyry who are responsible for site design. Project planning work started right after the contracts were signed in April, followed by the start of construction work in September. Autumn 2015 saw a period of excavation and demolition work around the paper machine hall that was successfully managed whilst continuing the production of printing paper. One of the first construction sites at the mill is the pulp storage building next to the paper machine hall. The foundations of this building will be completed in December. All in all, the project team has so far succeeded in meeting the project schedules without any delays or obstacles. After the planned termination of current printing paper production at the end of January 2016, the rebuild of the paper machine will be started at full speed. The machinery to be installed will use the best available technology, providing Kotkamills’ Consumer Boards business line an offering of high-quality Folding Boxboard and Food Service Board grades suitable for several packaging, food and beverage service applications. The product range offered will be based on Nordic virgin fibres, combined with a number of on-line coatings to enhance visual and functional performance and meet the needs of the most demanding packaging applications. All grades will be recyclable and repulpable, providing the opportunity for environmentally sound cartonboard packaging solutions. The printability, embossing, engraving and creasing properties of Kotkamills’ boards are designed to be excellent. One of the interesting possibilities of the new machine is the ability to produce board with a silk surface, making it an interesting alternative for brand owners looking for a feature to make their product stand out. Unlike other generally used plastic-coated boards, the barrier board from Kotkamills can be recycled and repulped without any special measures. Only printing ink will need to be removed in recycling, if any has been used. If unprinted, the board can be re-pulped and used directly in the paper or board mill's own processes. The innovative on-line barrier coating process of the new machine enables flexible and cost efficient production of the environmentally sound range of new barrier cartonboards. Along with the board machinery investment, special attention has also been given to environmental issues. For example, an additional investment of over 5 MEUR has been made in the effluent treatment plant to reduce fresh water usage and significantly improve the cleanliness of the waste-water. Moreover, the current refiners producing mechanical pulp from chips will be replaced by a new, notably more energy efficient refiner that will be used in the production of CTMP (used in middle layers of board products). The new refiner will remarkably reduce the consumption of electricity while simultaneously increasing steam production capacity. The size of this investment is another 5 MEUR. The global sales network of Kotkamills board products covers all significant market areas. Local sales representatives knowing the demands of their customers and serving in the local language work in close connection with the mill, responding to customers’ enquiries and offering the best solutions to each customer’s needs. Mr Markku Hämäläinen, CEO, Kotkamills Oy, tel. +358 40 721 0548, markku.hamalainen@kotkamills.com. Kotkamills is a responsible partner that delivers renewable products and performance to its customers’ processes via product innovations created from wood, a renewable raw material. Our key brands include Absorbex® and Imprex®, both innovative laminating paper products for the laminate, plywood and construction industries, and Solaris®, a high bulk, efficient coated printing paper for quality publications. Moreover, Kotkamills also offers ecological, technically sound and visually attractive wood products for demanding joinery and construction. 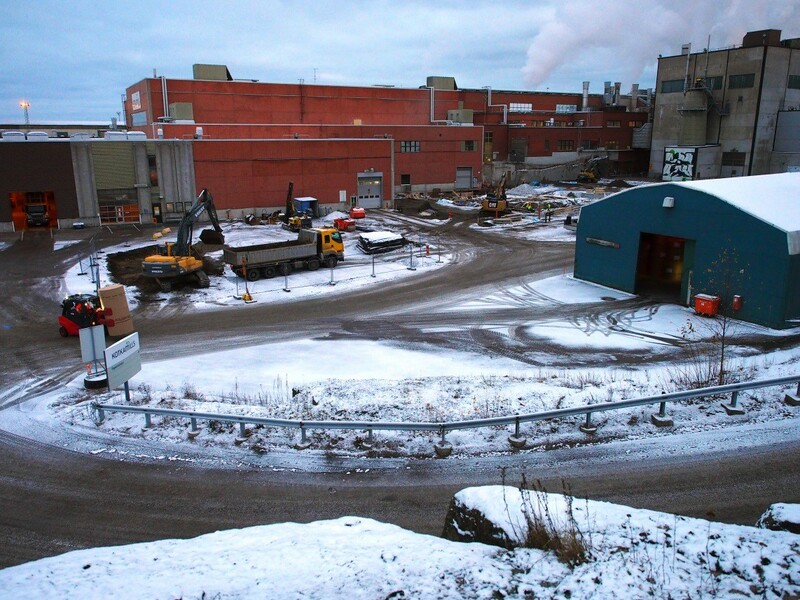 In 2016 we will start the production of fully recyclable Consumer Board grades in Kotka. Kotkamills has two production sites in Finland, located in Kotka and in Imatra, and a subsidiary L.P. Pacific Films for Imprex® production in Malaysia. The majority shareholder of Kotkamills is MB Funds, a Finnish private equity firm.